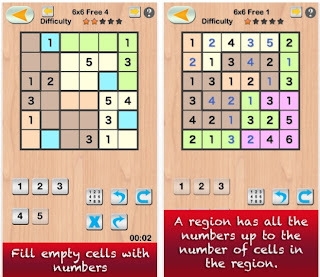 Quicklation is a free game. Look at the image. Find any set of numbers that add up to 22. 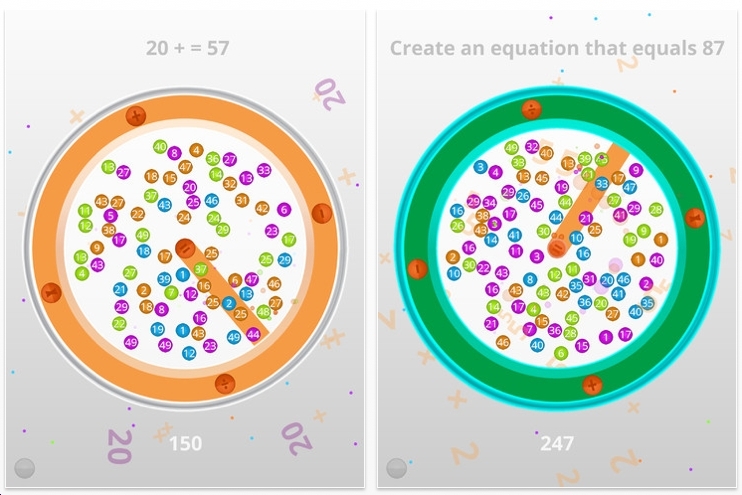 Try to answer the 20 questions as fast as possible to get on the leaderboard. Not brilliant. But it is fun. 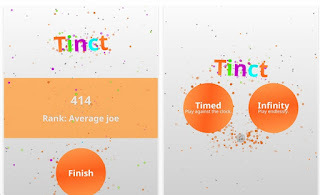 Joshua Liddle recently contacted me about his math puzzle app game called Tinct. The object is to find some numbers that form a simple equation whose answer is already given. 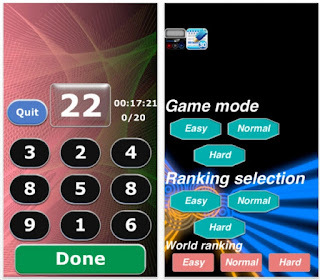 The game can be played with a timer - for pressure - or untimed. Suppose the target # is 15. You have many options: look for a 7 & 8. There could be a 7, but where's the 8? Instead you find a 15 & 1 and make a multiplication operation. The dial spins. I really like the graphics. In terms of a puzzle challenge, I think this is particularly good for kids. Although I could see seniors doing this to ward off Alzheimer's. 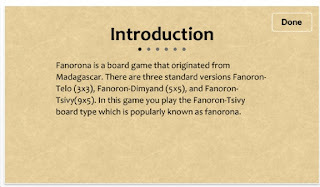 Fanorona comes from Madagscar. It's very hard to describe. 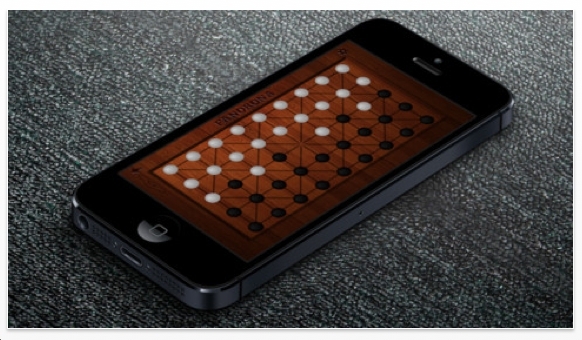 But I wonder, does anybody play abstract strategy games anymore? Chess has faded. And who plays checkers or backgammon? You can play against the computer. After 2 or 3 times, the rules will make sense. Two Tone is exactly like Lights Out. The object is to turn all the tiles pink. 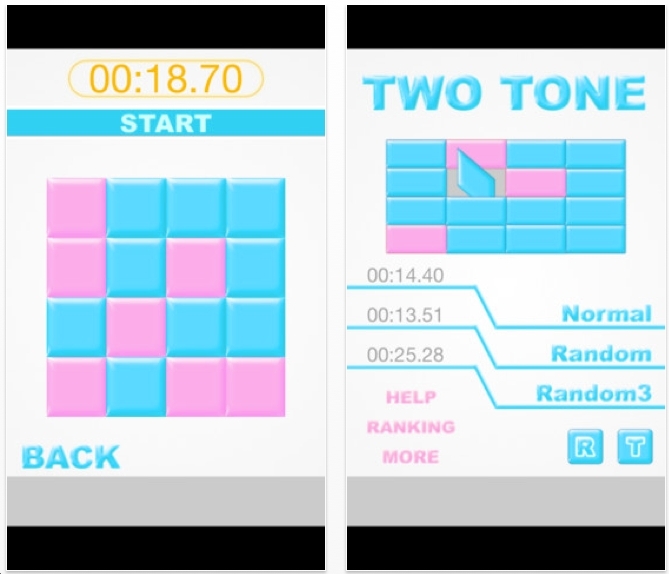 If you tap on a blue square, it will flip to pink and its orthogonal neighbors will do the same. We've seen this type of app at least 20 times. Nothing special here. However, it's free. I highly recommend looking on Ebay for Tiger Electronics' Lights Out and Lights Out Deluxe and Lights Out Cube. Same concept, much cooler. 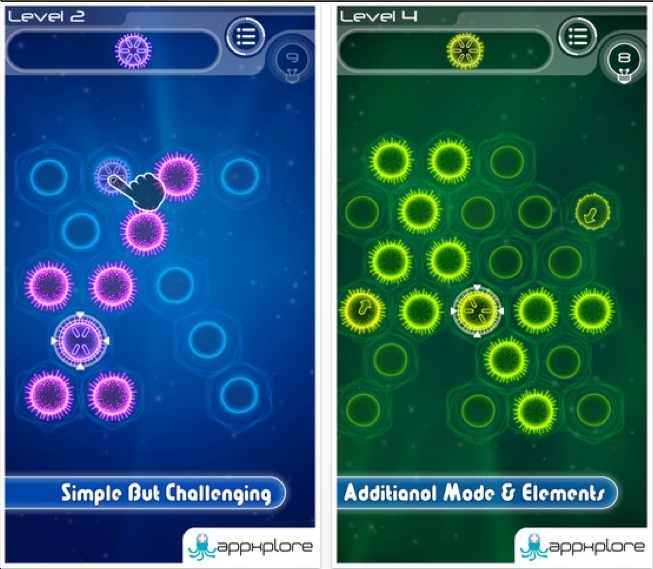 Xploding Puzzle comes from http://www.plungeinteractive.com/news.php. The object is to eliminate all the squares. 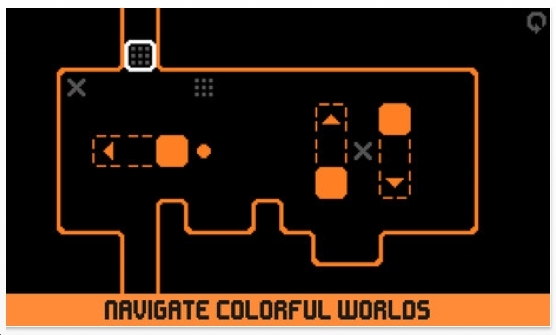 Tap on a red square - which is always numbered with a 1, and it will explode and then send red missiles in each direction. 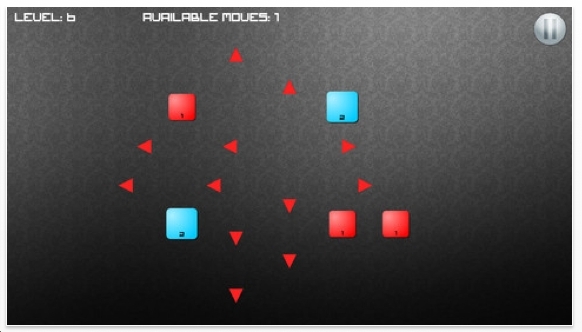 The blue squares need to be hit twice. Other squares need to be hit 3 times. 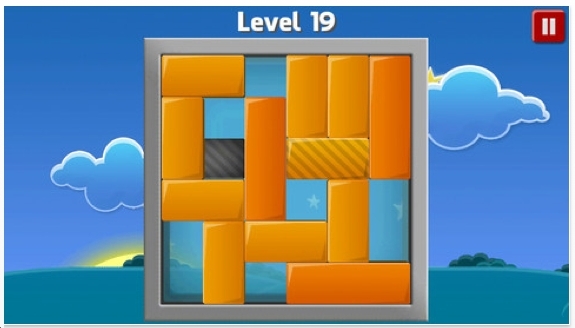 Last year I saw at least 3 or 4 of these types of puzzles. 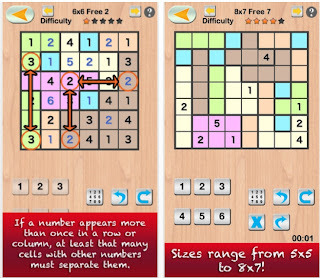 I believe that those grid sizes were all uniform: 7x9 maybe? 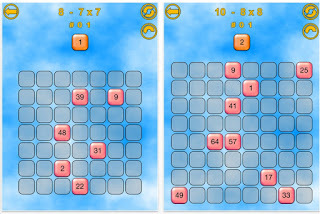 Xploding Puzzle: the grid configurations are more creative. And the red arrows that represent the missiles are nice. There are some 35 free levels. I've solved all but 1. After that, if you like this chain-reaction type puzzle, you can buy more. Sporos is really good set of puzzles that are similar to the 8 Queens puzzle. 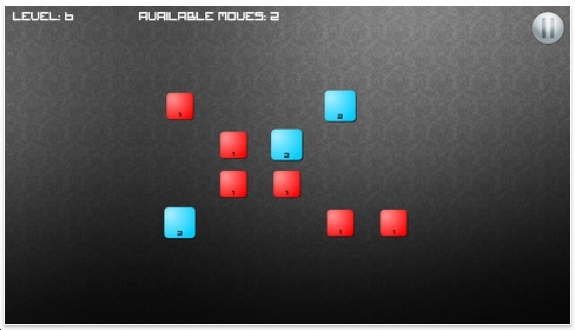 In the 8 Queens puzzle, you must place 8 Queens on the board so that every square is attacked and none of the Queens are attacking each other. Sporos is similar. You are given 2 or 3 'Sporos' and must place them carefully. Some Sporos point in all directions. Others do not. There are 300 'Essential labs'. I've solved about 100 of them. They go pretty fast, Though some are hard. 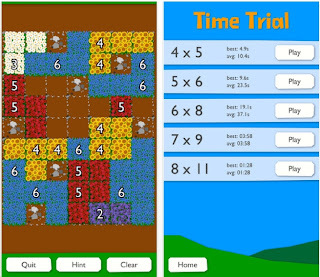 I was ready to move on to the next puzzle app, when I tried the 'Experimental labs.' Whoa. Those are more fun. In those, some Sporos are already on the board - fixed. You must activate them by having another Sporos attack it. 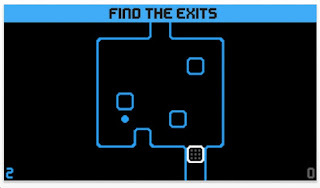 There are 200 of these levels and I've done about 90 of them. These are a lot more fun. I'm not crazy about the graphics; lots of people who have reviewed it seem to like them. 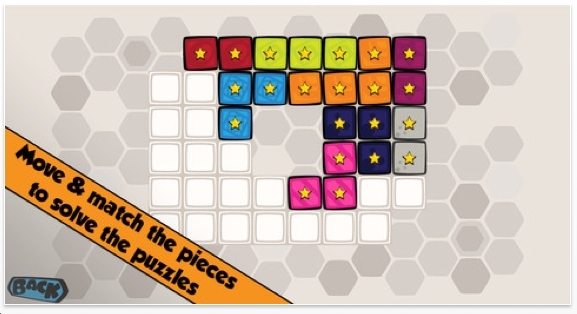 Sporos could make the List of Best Puzzle Apps of 2013. Wait and see. Block by Block is a free puzzle app game. 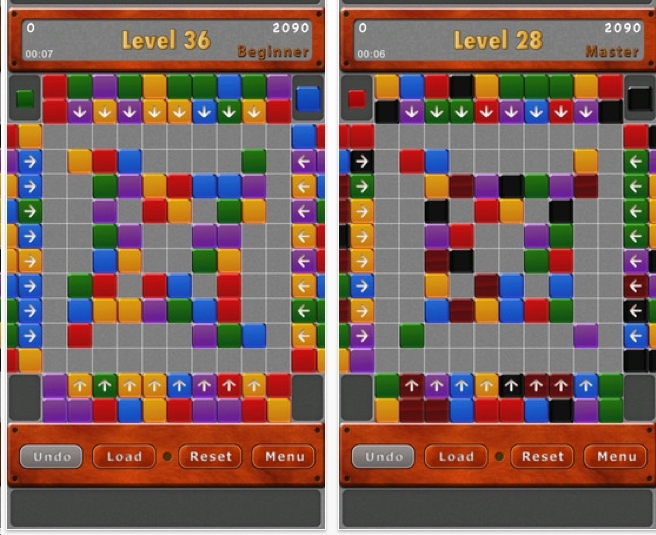 It is a total rip-off of another puzzle app known as Magic Bricks. 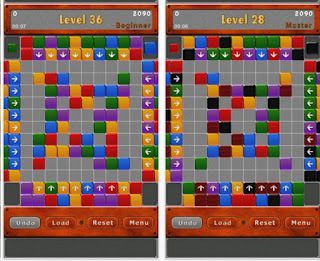 Magic Bricks was one of the Best Puzzle Apps of 2012. 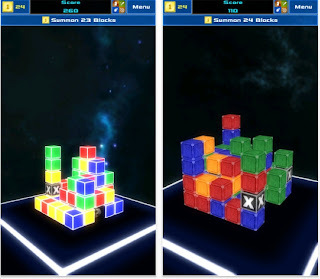 There is a free version of Magic Bricks. Download it, not Block by Block. 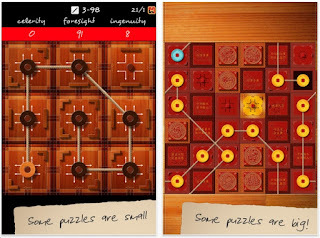 Fields is an interesting puzzle app from Kevin Langdon. The object is to fill the field with different colored flowers. The blue flowers always occupy 2 squares. 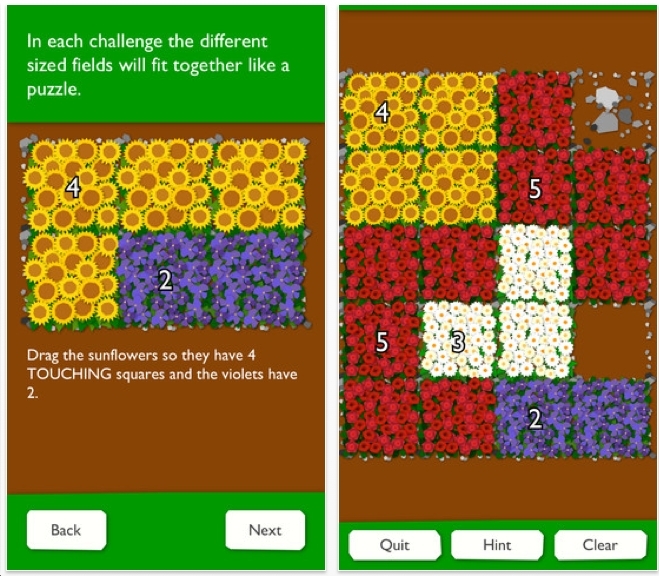 The red flowers take up 5 squares. You get the idea. Kevin says: This game is so addicting, you may never leave the toilet again. Now just a darn minute Kevin. You're going too far with that! Let it be known now and forever that I do not advocate anybody reading this blog, do play any games on the toilet. Just the thought makes me go EEEEwwwwwwww! Let's talk gameplay. This is quite good. I've played about half of the levels. More than once I've satisfied all of the regions, but have an empty square that must be filled. 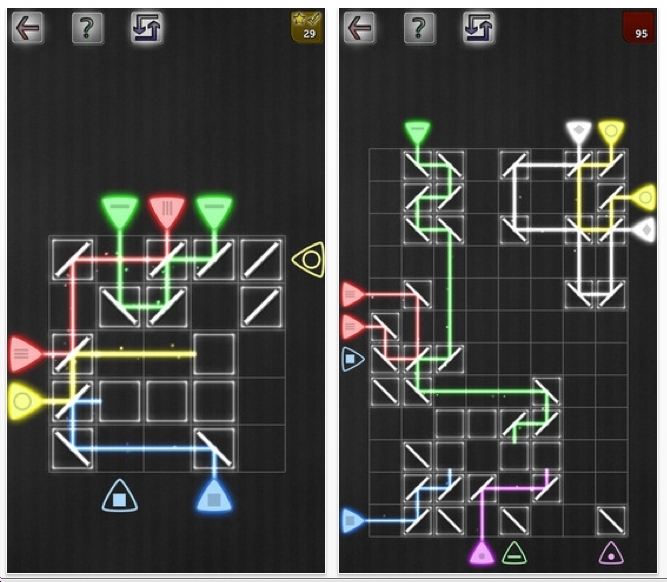 These puzzles are well designed. 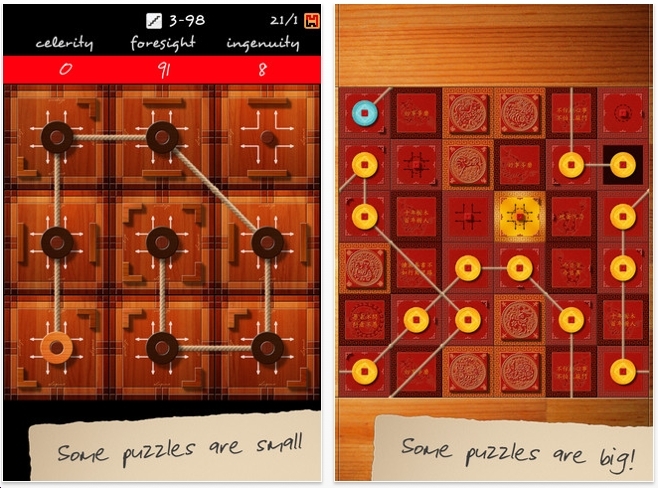 Fields could make the List of Best Puzzle Apps of 2013. The awards will be published Dec 31. 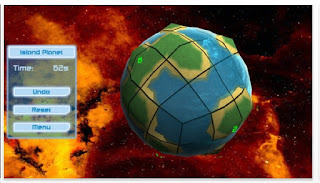 I wrote about Islands Planet not too long ago. 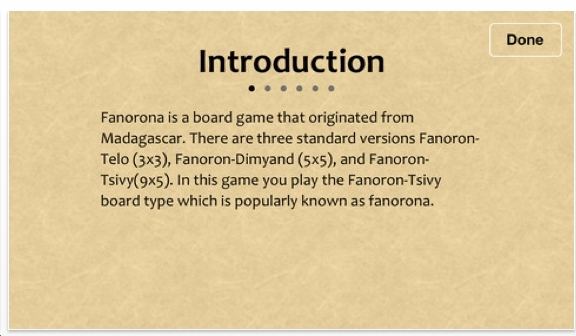 Scroll down to find it to learn more about the rules & objective. Previously, there were 80 puzzles. I solved them all. Now there are 160 levels. I just finished those too. Islands Planet is not that hard. But the graphics are outstanding. 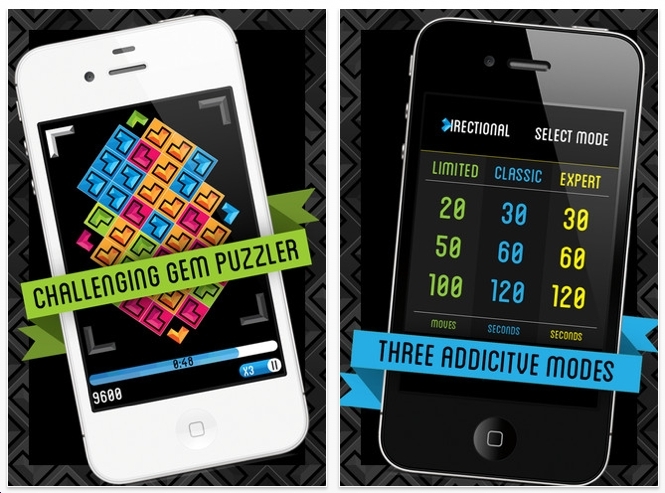 Look for the List of Best Puzzle Apps of 2013 on Dec 31. 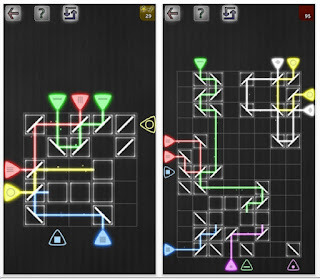 Not long ago I wrote about Chemin which is a topology type puzzle app that's pretty much the same thing as Numbrix. Recently, Chemin HD came out. The key thing about this upgrade - more puzzles. 250 altogether now. And a bigger grid size. 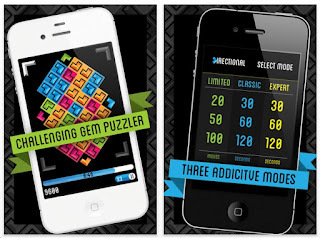 Chemin HD will probably make it onto the List of Best Puzzle Apps of 2013. That will be posted Deceember 31. 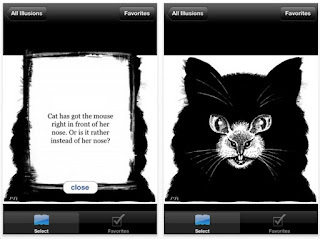 Mirrors & Reflections Puzzles is another Laser puzzle app game. It's free. 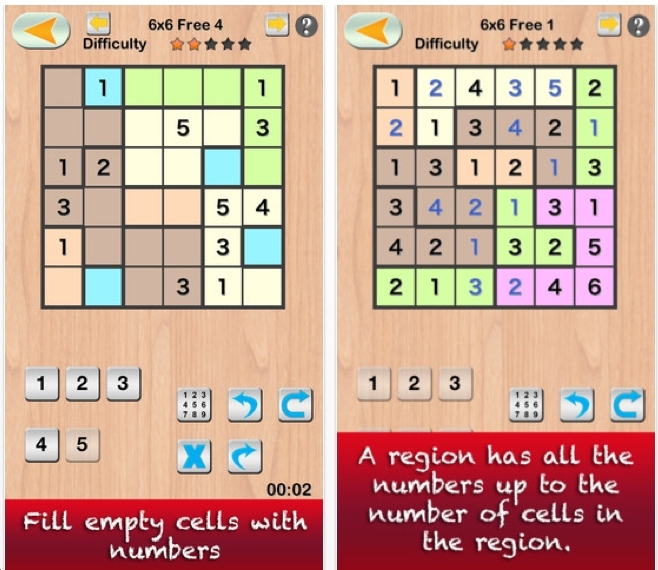 I solved all 40 levels with a 7x7 grid and another 40 levels using a 6x6 grid. You can buy more levels with grid sizes going up to 8x12. I like this game. It's not too hard. 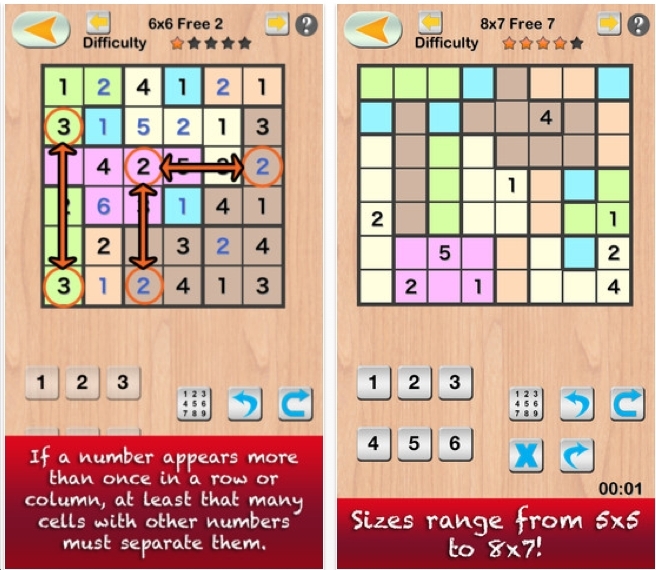 You can solve them quickly and feel smart. Kvadradt (Kvaadratium is an alternate spelling on the company website) is a very interesting puzzle. I haven't played it in at least 2 months. It's hard to explain. Only 1 person has written a review on the app store and I've decided to include it here because I can't do better. Puzzle Blox comes from Alan Clelland. The object is to align the blocks with the stars. This is essentially a packing puzzle. Take away the black squares that do not have stars and, well, we've seen this game a hundred times! Still, the element of stars makes the game attractive. But I can't stomach too many packing puzzles all at once. I don't want to sound negative, because it is a good set of easy, medium & hard levels. Want to see some great optical illusions? This app has gathered some famous ones. Nothing appears to be original. The best one: an image of Einstein. Walk 15 feet backwards and he turns into Marilyn Monroe. A new month means another rip-off of Rush Hour. Slide Me Out is different though. You must slide the striped 2x1 rectangle to the left. I did a few of the Expert levels. Not worth keeping. 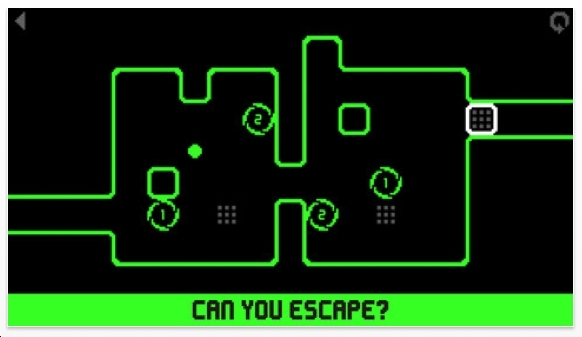 About 10 years ago I remember playing a game just like Dodging The Crazy Balls. 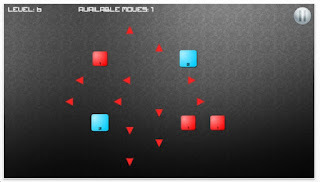 You clicked on the red square and tried to dodge the moving blue squares. 1. 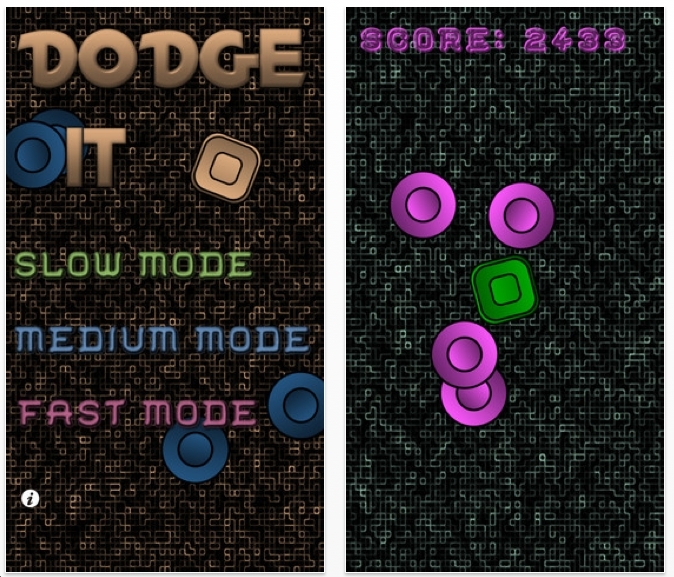 You can select the speed of the moving objects. 2. If you stay alive long enough, and if you can move your man to a certain target, then your man will shrink for a few seconds. It can also pick up an invincibility shield. 3. The color scheme is more interesting. 4. 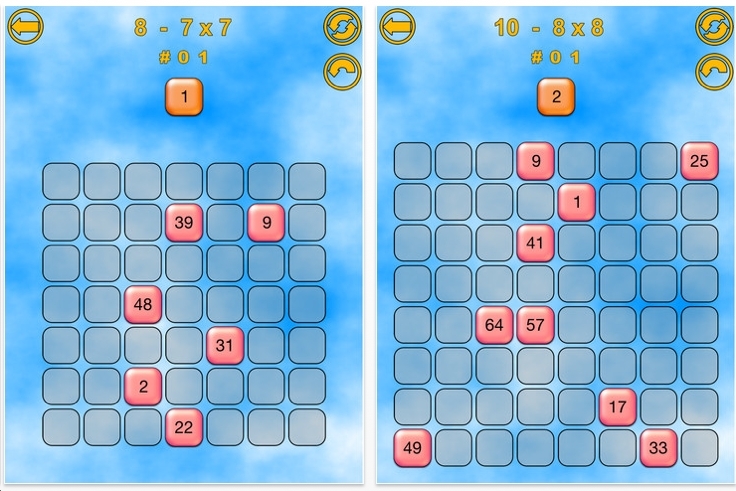 When the game starts, the initial movement of the discs is randomized and cannot be predicted. 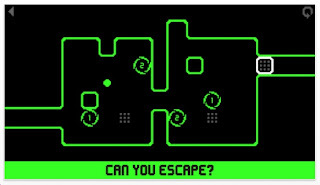 When I played this game on a regular computer with a mouse - all was clear. When I play this on the ipad, my wrist blocks the screen a tad. 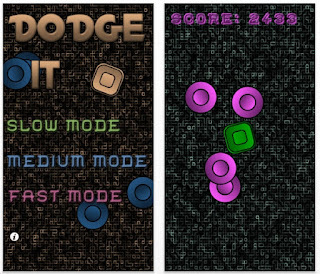 On the Fast Mode, my high score is 79,999. I'm not sure what this means. Does it really mean that I stayed alive for almost 80 seconds? I'm guessing it was only half - 40 seconds. This game is hard to put down! Chunk Munch is a 3D version of many 'tap on a chain of squares to get points' puzzle app. Getting 5 blocks of the same color is worth more than getting 4 blocks. So think strategically. The graphics are stunning. There are some interesting elements: The X block which is inert. The Black Hole block which takes out its neighbors and itself. 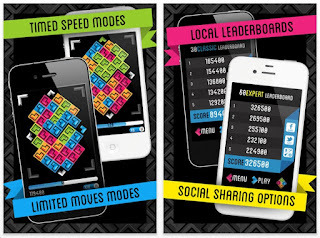 The Rainbow block extends any chain that you already have. Enrique Brandariz made Chemin, a puzzle app that I really like. This one, Spelling Walk, has a topology feature too. 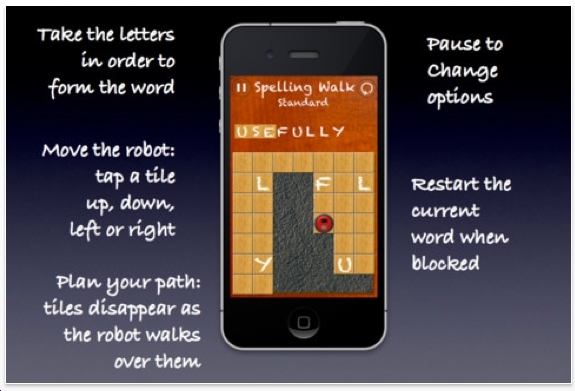 The idea is to spell the word by creating a path. 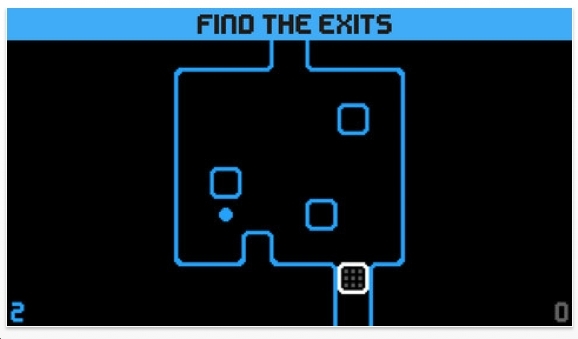 As you trace your finger over the tiles, they will disappear. I like this game too. 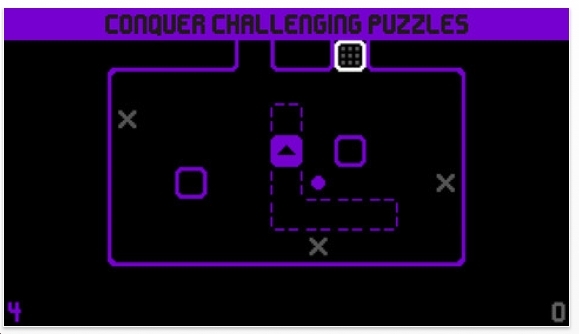 But will probably not complete all the levels. I think this game would be perfect for kids who like word searches. Certainly kids who like spelling will eat this up. 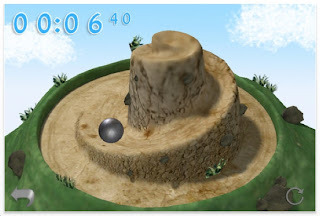 Climb the Hill is a dexterity puzzle app. The object is to roll the ball to the top. I tried it 5 times and was unsuccessful. I once saw a physical version of this for sale at my local 99 cent store. I did not buy it. 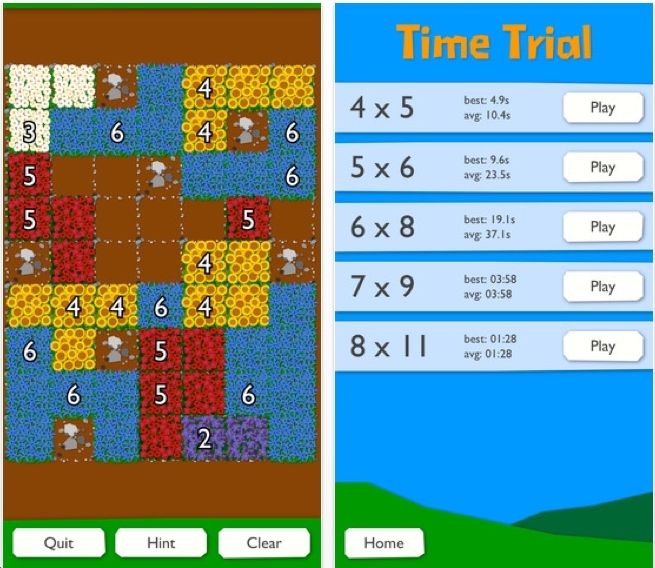 There is no way that Climb the Hill will get a spot on the Best Puzzle Apps of 2013 list. Kids will like this.